This is why plumbers will always have great job security. Leaving garden hoses connected throughout the winter. This is caused mostly by pure ignorance. Leaving hoses attached to the house can lead to leaking faucets and split supply pipes. Using more drain cleaner than necessary. When used correctly, drain cleaners will work as they are intended. However, some homeowners go overboard on the cleaner causing the pipes to corrode. Now they have made the clog worse, this will not be pleasant for the plumber who arrives to remove the clog. Cutting, screwing or nailing into a wall with plumbing pipes. 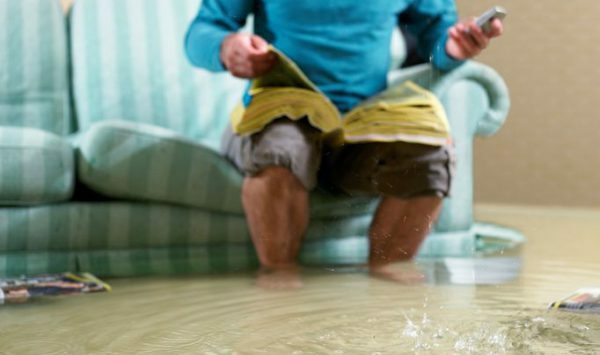 You will definitely get an emergency phone call if a homeowner finds themselves doing this. Joining pipes of different metals. You know better than to join copper and steel without the proper connectors, you’re a pro. Count on getting a few calls from homeowners insistent upon doing their own DIY plumbing work! Putting everything else down the kitchen drain. You will have jobs that are caused by a garbage disposal backup. This is because some homeowners feel as if the disposal will shred anything they put in it. Until that day it doesn’t. The most popular time for this type of situation to happen is on Thanksgiving Day. Items such as onion skins and celery strings are usually the main culprits. Plenty a plumber has been called away from his own Thanksgiving dinner to attend to a customer's clogged disposal. Mistaking the toilet for a trash can. Here we are, my personal favorite. The mistake that can cause a great day to go bad in a hurry. It's as if people think that when you press the lever all of the contents of the bowl fly off into a black hole. Nope, not the case! That 3-inch pipe can back up every hole in the house. This entry was posted in Plumbing and tagged Pluming Michigan.